Does studying the arts affect the learning? Yes, the arts are an often-neglected area of the curriculum that have a dramatic impact on student performance. If you take musically naive participants and scan their brains before teaching them to read music and play the piano and then give them fifteen weeks of lessons and scan their brain again and you’ll see physical changes. In theater, drama and other performance arts, subjects have demonstrated improved emotional intelligence, timing, reflection, respect for diversity, and even higher SAT scores. When compared to those taking no arts courses, the longer they worked at it, the higher the scores of those taking theater and drama scored higher on the widely used college entrance test. Drama teaches emotional intelligences (correlated with better grades), memorization and processing skills (upgrades operating skills) and builds social status and friends. UCLA professor of education Dr. James Catterall analyzed data on more than 25,000 students from the National Educational Longitudinal Survey to determine the relationship of engagement in the arts to student performance and attitudes, and also investigated the impact of intensive involvement in instrumental music on student achievement. She found that students with high levels of arts participation outperform “arts-poor” students by virtually every measure and that high arts participation makes a more significant difference to students from low-income backgrounds than to high-income students. In addition, Catterall found clear evidence that sustained involvement in particular art forms — music and theater — is highly correlated with success in mathematics and reading. She documented the difference between students of lower socioeconomic status who took music lessons in grades 8-12 when compared to other low SES students who took no music lessons. The former not only increased their math scores significantly but also improved reading, history, and geography by 40%. The arts are particularly valuable for kids from poverty. Besides building volition, caring, and effort, which can make a big difference in achievement, integration of music in the curriculum can contribute to both better academic scores and enhanced neurobiological development by enhancing the student’s brain. Arts are particularly valuable because they build lifelong, transferable skills such as reading. In fact, the implicit learning that arts provide transfers better than the explicit “textbook” learning of other subjects. To put it bluntly, arts build your student’s operating system as well as anything you have in your school. If you do not have a strong arts program, what are replacing it with? Arts training influences cognition because children who do art become motivated to practice their particular art (music, dance, drawing, etc.) with intentional, focused determination. This motivation typically leads to sustained attention, which in turn leads to greater efficiency of the brain network involved in attention. That leads to cognitive improvement in many areas, including math and science, according to the results of a three-year collaboration with over a dozen neuroscientists from five universities and the Dana Consortium on Arts and Cognition. For the first time, we are seeing that transferable skills can be taught which my raise the practical or “fluid” intelligence. In short, arts have a cascading array of benefits that go far beyond increased participation, attendance, and love of learning. Compared to such vital concern as safety, how important is a school-wide enrichment mindset a challenging curriculum, and physical exercise? It’s critical! For some kids, school arts enrichment is all the enrichment they’ll get. Like many National Blue Ribbon Schools, Lincoln Elementary School is fully immersed in arts. Why? In addition to building the student’s brain for academics, arts serves as an engagement and motivation strategy. At Lincoln, in Mount Vernon, New York, the curriculum hooks kids in with arts at every chance. “Capture them in the arts and the academics will follow,” declares Lincoln’s principal George Albano. This principal is a classy instructional leader comfortable discussing content areas with teachers, a mentor to faculty, and an administrator familiar with all the children and their accomplishments and struggles. The school has created a great place to be: it’s a rich, interdisciplinary curriculum that somehow finds a way to blend literacy and jazz, physics and physical education. Much of credit goes to formative assessments and the arts. Physical education and athletics are another aspect of school not commonly associated with improved cognition. We all know that exercise can make you healthier but can exercises make you smarter as well? Can exercising make your brain more fit? Surprisingly, athletic programs have been found to increase rates of academic performance and graduation and to reduce behavioral problems in schools. In addition to improving the health of students and improving reaction times, cardiovascular capacity, muscle strength, body coordination, speed, and stress responses, athletics also enhances cognition and academic outcomes. As a matter of fact, exercise helps increase the release of brain-derived neurotrophic factor (BDNF), which supports learning and memory function and the repair and maintenance of neural circuits. Fernando Gomez-Pinilla and her team at UCLA found that voluntary exercise increased levels of BDNF in the hippocampus, a brain area involved with learning and memory. Some studies have found strong evidence that in mammals, exercise increase the production of new brain cells and that they become functional. In addition, exercise leads to increased calcium levels in the blood, and that calcium is transported to the brain—where it enhances dopamine synthesis, making the brain sharper for both cognitive problem solving and working memory. For example, one study found that joggers consistently performed better than non-joggers on learning and memory tests that required the use of the prefrontal cortex. Scott Small’s work shows that exercise increases the birth of new brains cells, which are highly correlated with learning, mood and memory. Click here to find out more on how to have Eric Jensen come to your school or event. Try our new 10 minute lesson plan tool for teachers. Agreeably, students from poverty are often lacking in experiences than children from higher-income families. Children from poverty suffer from insufficient personal interactions with other people. This decrease in readiness does not promote a healthy start when entering the realm of education. Parents face the struggles of providing enrichment for their children, whether that is nutrition or physical exercise outside. As a classroom teacher, I have noticed that students from poverty are usually the last ones to “get on board.” Why is that? According to Jensen and brain-based research, neurogenesis has the ability to reduce depression and other considerable factors that lead to this struggle when teaching students from poverty. 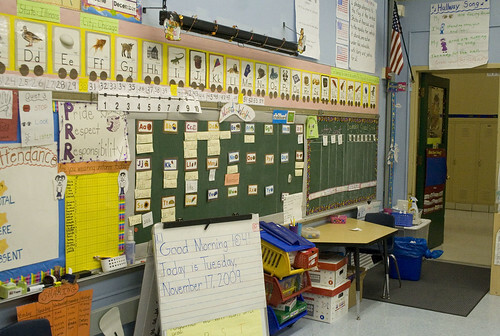 Students from poverty do learn differently. As a teacher, I have to create new instructional strategies that will translate better for this special population. That does not mean that I “dumb down” the curriculum. These students are capable of a lot more than society thinks. Students from poverty enter my classroom with a different tool box. I just need to look within myself and my professional judgment to find the right key to open their learning style. Using the arts, physical education, and technology can dramatically influence how students from poverty learn and begin to make connections. One instructional method that is often not used in the classroom is the integration of art in learning. The use of music, drama, and art help to create a balance between students from poverty and children from higher-income families. Art and drama come from within and require a certain creativity, reflection, and intelligence. With all that the arts provide for students, it is sad that the arts are usually the first program to get cut due to budget loss. It was amazing to note that if students experiment with art, they will begin to practice their craft. This practice and determination will eventually lead to a more focused student. A more focused student then offers attention to other academic tasks. Art has the opportunity to cross into other academic subjects and produce outstanding results! Therefore, in the classroom, try to use art as much as you can to increase creativity and excitement. Another instructional method that proves to be beneficial when interacting with students from poverty is exercise! Physical education increases the flow of oxygen and blood to the brain, which creates opportunities for the release of brain-derived neurotrophic factor (BDNF). 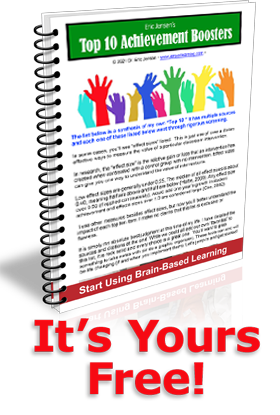 BDNF helps to raise memory function and supports learning. Physical education could help schools in their goal of higher test scores due to constant accountability from the government. Thus, physical exercise can help raise self-esteem and create opportunities for interdisciplinary learning. 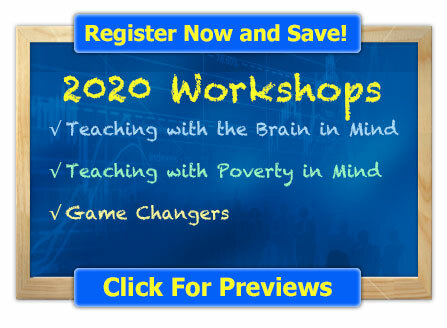 Finally, students from poverty require a variety of instructional strategies that are brain-based that will ultimately lead to a rewiring of the brain. This rewiring creates new connections and new pathways for learning. Combining the arts, technology, and physical exercise, students from poverty can begin to pave their own learning. I am looking for sources that address how instrumental music needs to be taught to low achieving student. Any suggestions?